There are a lot of things that a baby does that can make a parent crazy especially a little baby. It seems that they are eating, peeing and pooping pretty much constantly and it becomes a major bummer to have to be feeding and changing a baby all the time. Let me tell you the only thing worse than wiping a bum, is not have a need to have their bum wiped. Yes, you know I am talking about constipation, as much as it is a drag to change them all the time, I would do that any day over a baby crying all day and all night because they just cannot go. When David was born we thought it would be the same as most babies, but instead, he developed an intolerance to all dairy and soy products, and the main symptom of that was constipation. I mean bad, horrible, only go once a week constipation. We tried everything and let me tell you, there are a lot of schools of thought out there on babies constipation cures, from Karo Syrup, light and dark, brown sugar mixed in boiled water, plain boiled water, chamomile tea, juice, and honestly if you name it we probably tried it. This baby was miserable. 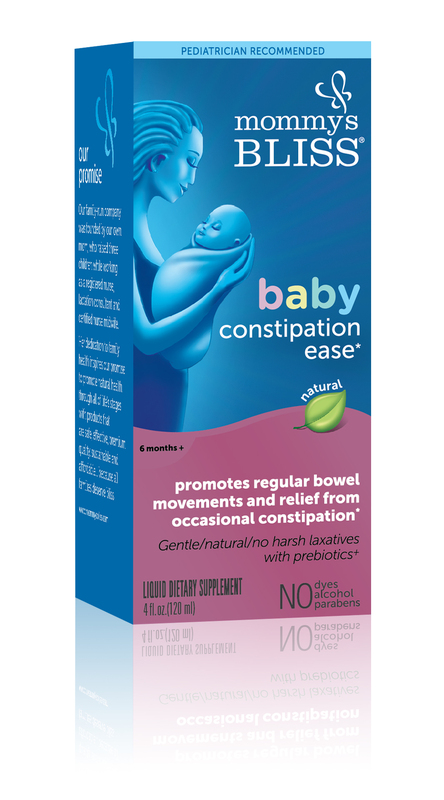 So, when Mommy Bliss asked me to try their new Baby Constipation Ease, I was more than willing to help them out. When David is not drinking milk he usually has a bowel movement every three days, we have found out that he also has delayed gastric emptying so it is not unusual for him. When we decided to start and give him milk again, we suffered a few weeks of transitional constipation and it was a huge relief to have the Mommy Bliss Constipation Ease to lean on. We needed something we could trust, and Mommy’s Bliss is a brand we trust. This worked, and we were so glad that we had it to try. 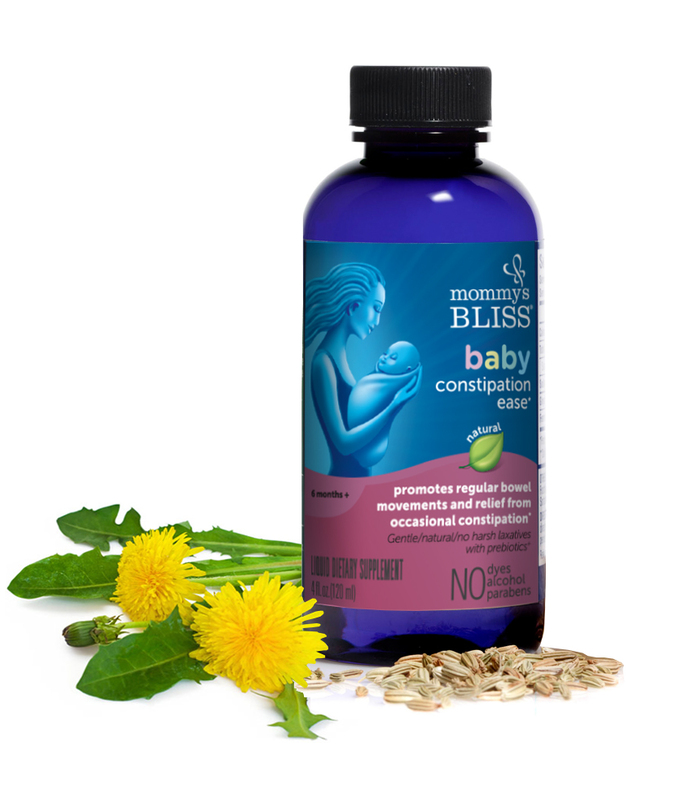 Mommy’s Bliss® Baby Constipation Ease does NOT contain any of the following: gluten, starch, dairy, wheat, yeast, dill, chamomile, alcohol, parabens, artificial colors, artificial flavors, sucrose (table sugar), or petroleum-based by-products. 100% vegetarian & vegan. Knowing this is a huge relief because the last thing we wanted was to add to his problems. Check out the Mommy’s Bliss website and see if this is the right product for you and your baby. They have a great line of products for babies. I love that there was no guessing and mixing and it worked so well but, gently. Previous post: BODYARMOR Hydrate Smarter! Do you give this to your baby directly or can you mix with juice? My son has constipation issues as well but he also takes Ranitidine for acid reflux. I was wondering if he can still take Mommy’s Bliss while he is on the reflux medication? He will be 7 months old next week. Should be fine but, please check with your doctor or pharmacist. How old was he because i want to use it for my 9 week old but I’m afraid she is too young? ?